Facebook Twitter Nas has been a licensed REALTOR® since 2003. Nas enjoys the challenge of matching people to their homes. His strengths include experience, dependability and a strong work ethic. Nas' clients know that he can always be relied on for great service and complete follow through. A seasoned professional, HRM real estate agent, Nas is amicable and attentive to clients' wants, needs and aspirations. Nas also is highly involved in a variety of local charitable fundraisers. Nas is an avid sports enthusiast and is quick to share his point of view on Football, Basketball and Boxing. If you want to know what’s on next week’s boxing card, just ask Nas. It’s not uncommon to find Nas assisting a fellow REALTOR® in crafting a not-so-simple clause on an offer or counter-offer. Nas has become a “go-to” agent in the office and is never too busy to lend a helping hand. In fact, if Nas has an outstanding fault, it is his inability to just say “NO”. Nas has roots in the Eastern Shore as an Eastern Shore District High School Graduate in 1996. He has a genuine understanding of what is important to people and has grown strong in his ability to lead and inspire. April 20th, 2016 Naz and his helper, Danielle, were fantastic to deal with. They know their stuff and I was confident that they would getter sold! When I asked a question, usually by text, they would respond within 30 minutes - most times within 5-10 minutes. Naz called me 3 times since it was listed in January and it is the middle of April and it is sold. Danielle provided weekly updates by email so that we all knew the status of the property. The emails also included data on how many online views for all the websites that it was advertised on. This is by far the best experience I've had so far selling a home and I would hire them if I was you. March 14th, 2016 - Couldn't have a better agent.Helpful, professional ,knowledgeable , I would definitely recommend him to anyone. February 15th, 2016 - As a first time buyer, Nas was a Godsend. He took the time to break down and explain all of the costs and things involved in purchasing a property, which really helped me determine exactly what I could afford. We went and looked at numerous properties, and each time he highlighted any areas of concern, until we were able to find a place that was suited to our needs. He was always available to talk, and answer any questions that I had, and there were quite a lot of questions as this process was all new for me. I would highly recommend Nas to anyone, including my family and friends, as he is knowledgeable, extremely professional, and very easy to work with. February 4th, 2016 - Nassim went above and beyond my expectations. He wasn't the first real estate agent I used so I was a little weary when it came to trusting an agent again. The other agents I used were pond scum compared to Nas. Would highly recommend Nas to any and all of my family, friends or even strangers. Awesome guy !! September 1st, 2015 - Very knowledgeable in market values and staging homes with excellent photography and displays. Never pushy very calm even demeanor. We felt very confident and reassured at every stage of the process for both buying our new home and selling our previous home. Excellent at finding the perfect home for us with all the items we had on our wish list. Always willing to show us any home at any time. The greatest thing about Nassim was the fact that you could get hold of him any time of day or night and he was always willing to answer any questions or concerns that we had. He also has wonderful outgoing personality and great sense of humor. September 1st, 2015 - Nassim is very knowledgeable and was very helpful when we were buying our first home. I would definitely recommend him for all your real estate needs. July 2015 - Nas was great. He put in allot of time in selling our house on the market. He had lots a knowledge and advice for the final sale. Lots of exposure for the house on the market. House sold fast. Was available at any time and easy to get into contact with. Highly recommended. August 28th, 2015 - My husband and I could not be happier with the outstanding support and guidance of our Realtor Nas Klayme. He exceeded all expectations and more. We truly feel he protected us every step of the way and knew us better than we knew ourselves. He was patient and understanding, funny and witty when he needed to be but very down to business when things got serious. He made house shopping a breeze and his knowledge on the areas and markets was amazing. If it wasn't for Nas, our dream home would not have been a possibility. He knew what we wanted and was willing to go to bat for us when it came time to negotiate. When our offer was finally accepted, we quickly learned that the fun (and stress) had only just begun. Nas was so helpful during our home inspection and we are forever thankful that he highly recommended getting additional inspections (well and septic) even though they were not a requirement. August 27th, 2015 - Nas is a very helpful and professional Sales agent. He devotes a great amount of time to his job which is obvious because he is always available and is very connected to modern media. We were looking for a cheap house to be renovated. As they came up we were always able to get a quick showing within hours or a day. In fact the house I bought we were the first showing and put the offer in right away which after a short negotiation was ours. Nas gave good information and advise then stepped back a bit and gave us the time to make the decision. Never pushing for a sale and always asking if we were comfortable with the deal. I have always been on the sellers side selling my houses five times. This time being a buyer was a different experience and Nas was a asset. August 27th, 2015 - Nas has been great. Friendly, personable, seems like I knew him for years. Nas is very knowledgable about the market and very patient during our long search during a slow market. July 15th, 2015 - Nas was more helpful then I imagined possible!! Couldnt have bought our home without his knowledge and insight. He saved us alot if trouble by keeping eyes on the details as we looked at multiple listings. I will be recommending his services to anyone looking for a home in HRM. Thanks Nas! Nas is amazing! He was wonderful to work with and delivered on 100% of our expectations! We have and will continue to recommend him to anyone who is looking for the name of an agent. We will absolutely seek him out in the future! Thanks for helping us find our home which we love Nas! April 2nd, 2015 - Nas Klayme worked exceedingly hard to reach my goals and they were met - to sell my house and find me a condominium. As I see it, his professional strengths are: patience and good listening skills with a client, gaining him an overall understanding of the client's needs and wants; a strong work ethic; and thirdly, knowledge of the industry with the intelligence to navigate the system calmly and in a timely manner. Nas displays good sense in his deliberations, always seeking the best for his client. I highly recommend Nas Klayme as the realtor who will guide you successfully, with first class service. April 2nd, 2015 - Nas was a great person to work with. He provided all the information we needed and walked us through each step of the process. He didn't let us rush into anything and pointed out all the pros and cons of each property we viewed. This is our second purchase with Nas and we would recommend him to anyone looking for an agent. April 1st, 2015 - It was pleasure to work with Nass from start to finish.He has very good knowledge in evaluation and negotiating as well. There is no surprises, He does everything in very professional and timely manner. Also very friendly and honest. Would use him again as my Realtor. April 1st, 2016 - I met Nassim during the course of purchasing our home. Although he was technically the seller's Realtor, I could feel from the first showing that he truly cared about whether we were getting the "right" house for us. He was honest, considerate, and sincerely worked in the best interests of everyone involved. We were so impressed with his services that we are now using him as "our" Realtor to help find my mother a new home in the HRM. 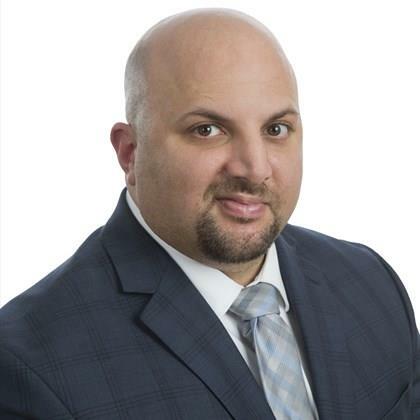 We would genuinely recommend Nassim to anyone looking for a knowledgeable, honest, considerate, and caring Realtor with excellent negotiating skills for both selling and purchasing a home!